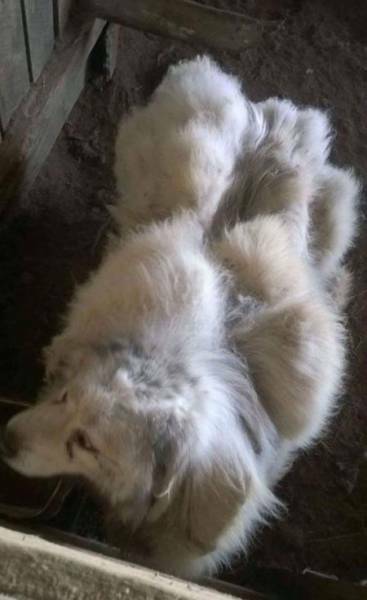 Lazarus the Great Pyrenees was found trapped in a barn all matted, covered in dirt and feces. 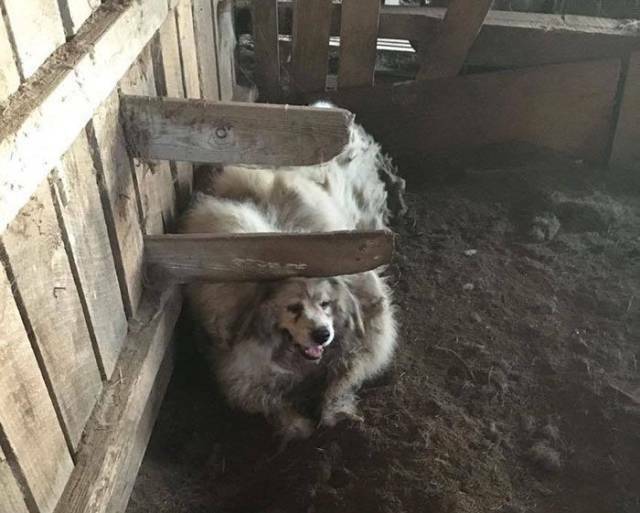 He hasn’t left the barn stall since he was a puppy. 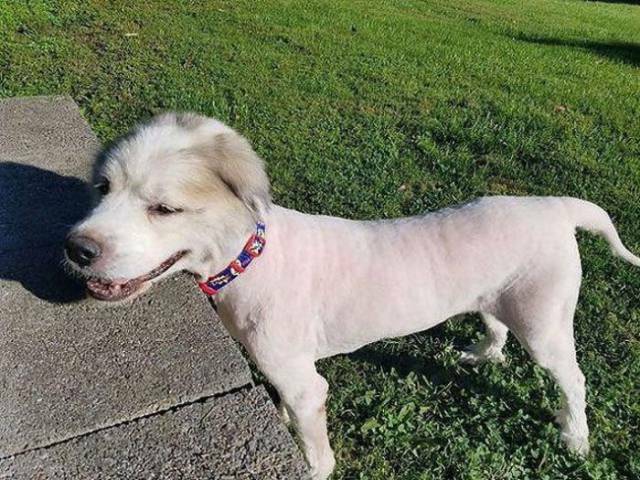 His owner who became terminally ill, asked a good samaritan guy to feed his dog since he couldn’t “take care” of him anymore. When the guy saw Lazarus he was shocked. 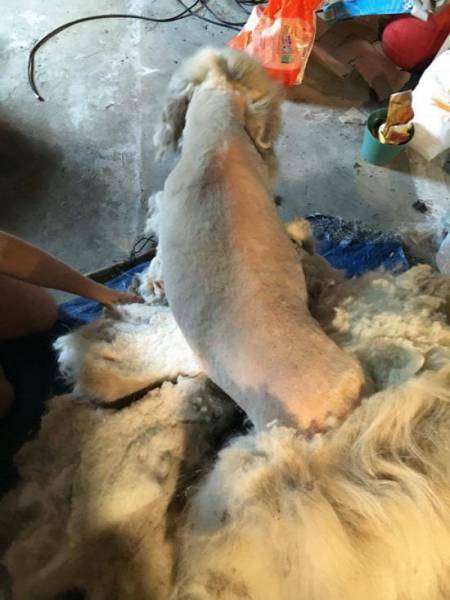 He called his girlfriend referred as C., a professional groomer and with her help he could free the dog from the barn. They had to shovel feces to just be able to open the door to get to him. 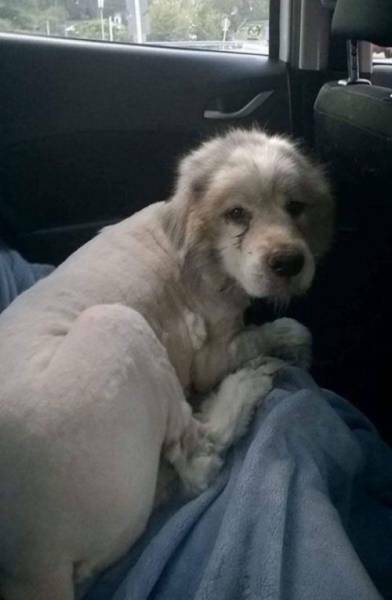 After that, they spread the word about Lazarus and his situation and that’s when Big Fluffy Dog Rescue stepped in. 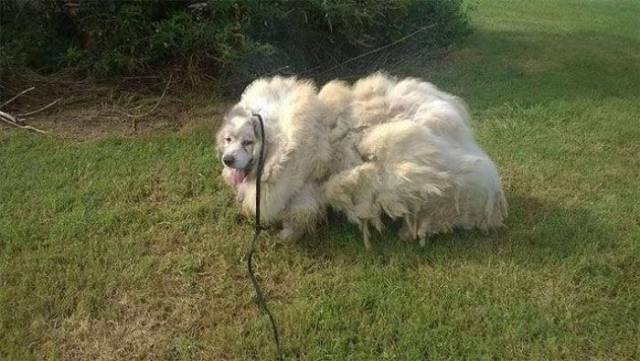 They took the dog from the owner who gave him up without a fight. 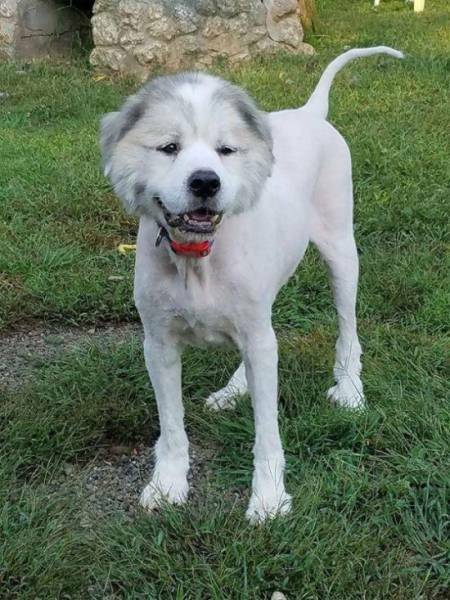 After that he had to be shaved completely as he has grown a big mass of hair throughout all these years. 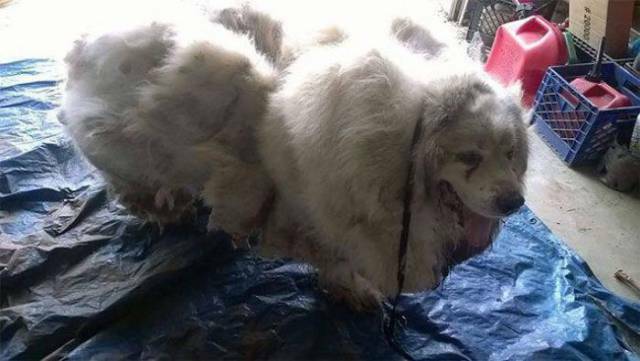 The mass of hair and matts was weighed at over 16 kg (35 pounds). Now Lazarus lives in a shelter with his foster mom Amanda Charsha-Lindsey and will spend months or probably years there before his adoption. It will take him some time to get used to people and to even grass and the sky as he has never seen them before. Amanda is also working on Lasarus’ potty training as he doesn’t really understand the concept of going to the toilet outside. He accustomed to soiling himself, hence he has little bladder control. This big cute fella was a little shy at first and easily nervous around people, but he got used to humans and to treats (especially! ), he understood that no one wants to harm him in any way and that’s when he “shone through.” Just look at him smiling. Seeing him smile will make you smile for sure. We are really happy for Lazarus, we wish him a lot fun discovering the new world around him and find his forever loving home!